The Thrifty Groove: Dreaming of Warmer Days! So, what do you do when it is freezing outside, you don't want to spend any money and are dreaming of Spring and Summer? 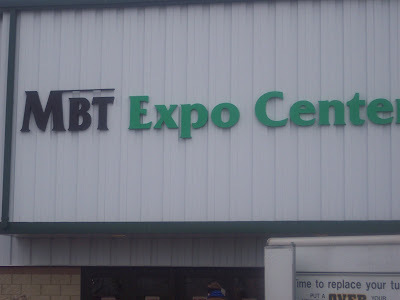 You go to a RV Expo! Today I am joining both ABC Wednesday and Outdoor Wednesday. Make sure you check out these two fun blog parties! 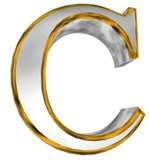 And "C" is for Camping! 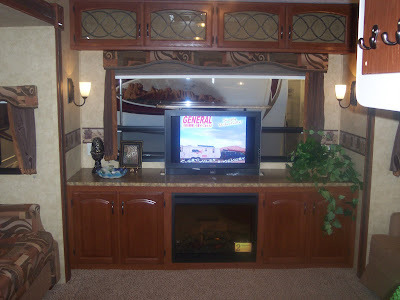 This weekend we went to a RV Expo of the new 2010 Travel Trailers, Fifth Wheels and Motor homes. 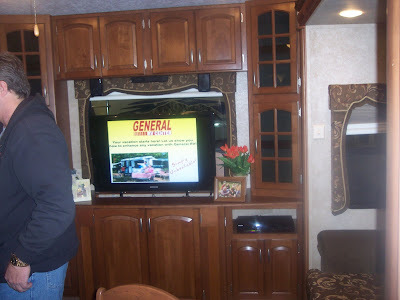 It was freezing outside but, this was a free event and all the new RV's were inside so, it was time to go and dream a little! The older models were outside. 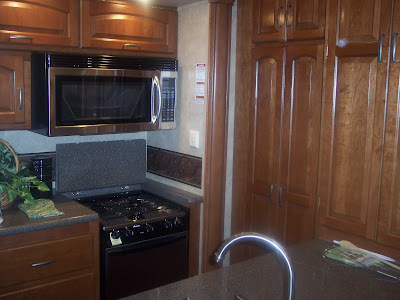 I can't believe how much these RV's have come down in price. 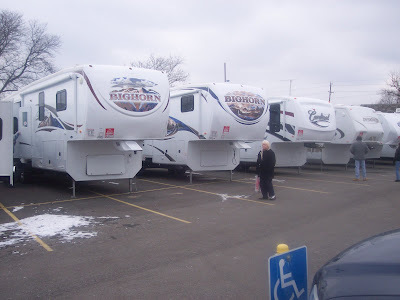 Not many people going out and buying new trailers these days I guess. Here are some glimpses inside a couple of the new ones. 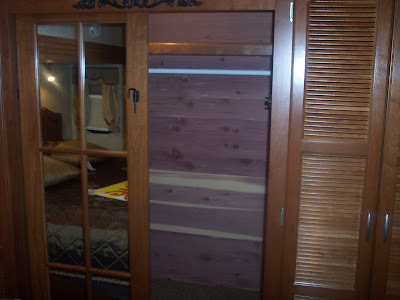 Cedar lined closet with a built in dresser and a seat to sit down. One the other side of the closet is a place for a washer and dryer and a hanging rack. 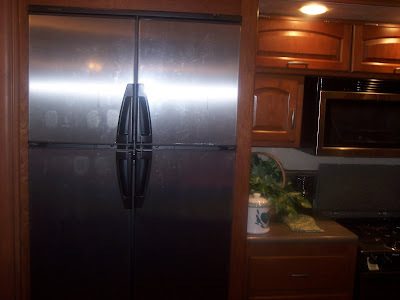 Almost full size stainless steel fridge/freezer. 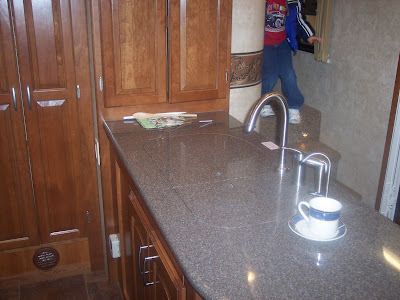 Nice double sink and granite countertops. 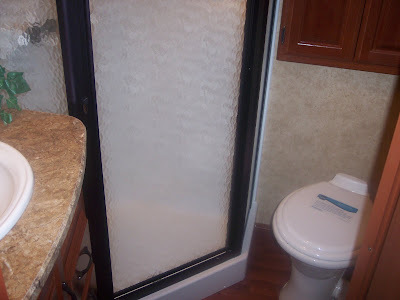 Nice size bathroom with a 36" corner shower. 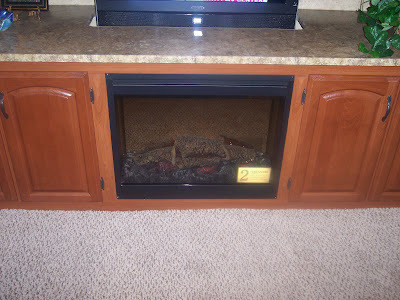 Wouldn't want to go camping without an indoor fireplace. 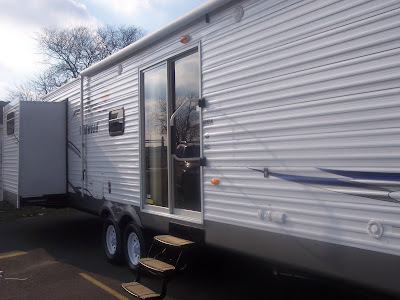 So, are you ready to head out camping? When our family went camping when I was a child, it was in tents with Coleman stoves and lanterns. 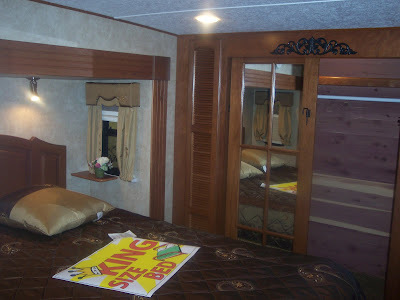 If I could have been in a nice RV, I'd have preferred it! That is totally awesome!! 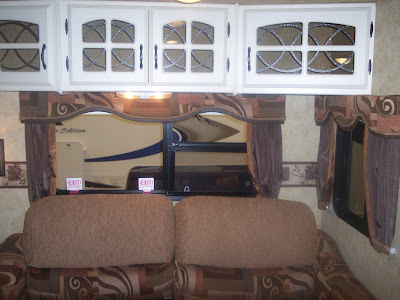 We had a Winabago when our kids were little, it was brand new and we thought it was totally luxurious, but in comparison -- well, there is no comparison but then that was in the 70s! I could probably get accustomed to traveling in one of those! Great post and photos for the day! 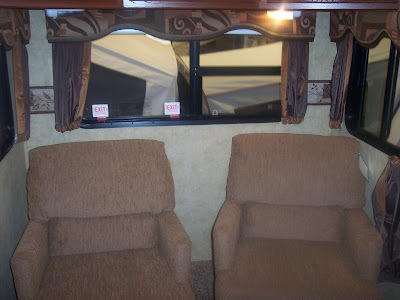 it's huge, it's like a small home, gone are the days that you go camping with just a tent.. I suppose it's for winter camping too. I have never been camping. It seems like it would be a fun thing to do. Those campers are AMAZING! Wow! What fun! 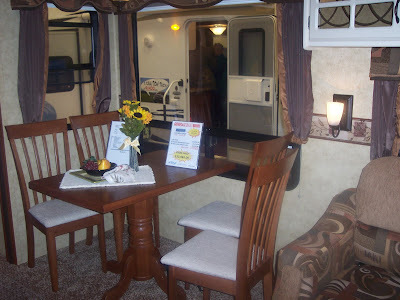 Seems like an oxymoron: luxurious camping! Nice photos! 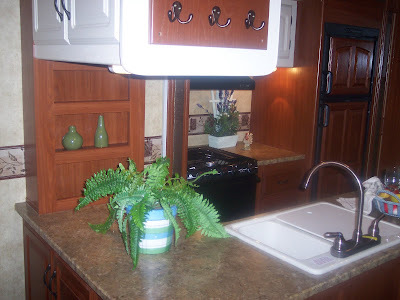 Oh, I do love looking around motorhomes (as we call them here) and caravans! Yours are enormous!! In fact, I'd hardly call them camping, which to me is living in a tent. I'd call it taking your house with you! LOL!